Garlicwood Events understands that your privacy is important to you and that you care about how your information is used and shared online. We respect and value the privacy of everyone who visits Our Site and will only collect and use information in ways that are useful to you and in a manner consistent with your rights and Our obligations under the law. 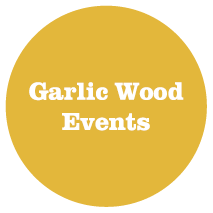 means Garlicwood Events, 50 High Street Steyning West Sussex BN44 3RD. Our Site, https://garlicwoodevents.co.uk is owned and operated by Garlicwood Events, 50 High Street Steyning West Sussex BN44 3RD. With your permission and/or where permitted by law, We may also use your data for marketing purposes which may include contacting you by email or telephone or text message or post with information, news or offers on Our products or services. We will not, however, send you any unsolicited marketing or spam and will take all reasonable steps to ensure that We fully protect your rights and comply with Our obligations under the GDPR and the Privacy and Electronic Communications (EC Directive) Regulations 2003, as amended in 2004, 2011 and 2015. We only keep your data for as long as We need to to use it as described above in section 5, and/or for as long as We have your permission to keep it. In any event, We will conduct an annual review to ascertain whether we need to keep your data. Your data will be deleted if we no longer need it in accordance with the terms of our Data Retention Policy. We may contract with third parties to supply products and services to you on Our behalf. These may include payment processing, delivery of goods, search engine facilities, advertising and marketing. In some cases, the third parties may require access to some or all of your data that We hold. Where any of your data is required for such a purpose, We will take all reasonable steps to ensure that your data will be handled safely, securely, and in accordance with your rights, Our obligations, and the obligations of the third party under the law. When you submit information via Our Site, you may be given options to restrict Our use of your data. We aim to give you strong controls on Our use of your data (including the ability to opt-out of receiving emails from Us which you may do by unsubscribing using the links provided in Our emails or by emailing us at toby@garlicwoodevents.co.uk). You have the legal right to ask for a copy of any of your personal data held by Us (where such data is held). Please contact Us for more details at toby@garlicwoodevents.co.uk , or using the contact details below in section 14.